Facing increasing software complexity of Spacecraft On-board Software, European Space Agency (ESA) initiated the OSRA methodology (On-board Software Reference Architecture) to model the hardware and the software components, and to define the allocation of these components on the hardware. ESA needed a solution to rapidly support this approach while Ecore, a tool based on Eclipse Sirius, emerged as the most appropriated one. Obeo came in to improve the modeler from an initial prototype to a fully functional and user friendly modeling solution. 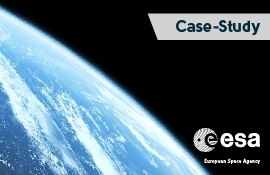 Thanks to the improvement of its overall usability, the modeling solution supporting OSRA is now considered to be ready for distribution to European space industry! Read more about this attractive topic with the dedicated case-study. This case-study was presented at SiriusCon 2016. Find out the program of SiriusCon 2017, the free international conference on graphical modeling where unpublished case-studies will be presented.